Original rubber mats of the Polish company Frogum. They are made of a natural rubber mixture in black for the car model given in the title of the offer. They have a characteristic low, aesthetic edge, up to 1 cm high, preventing water from flowing down to the upholstery. 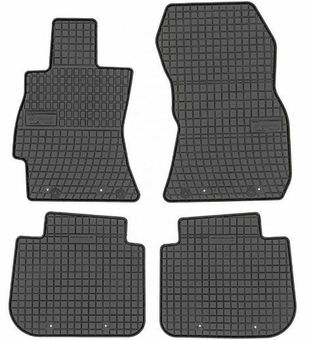 The driver's rug has a special reinforcement, and the smell of rubber is almost unnoticeable.